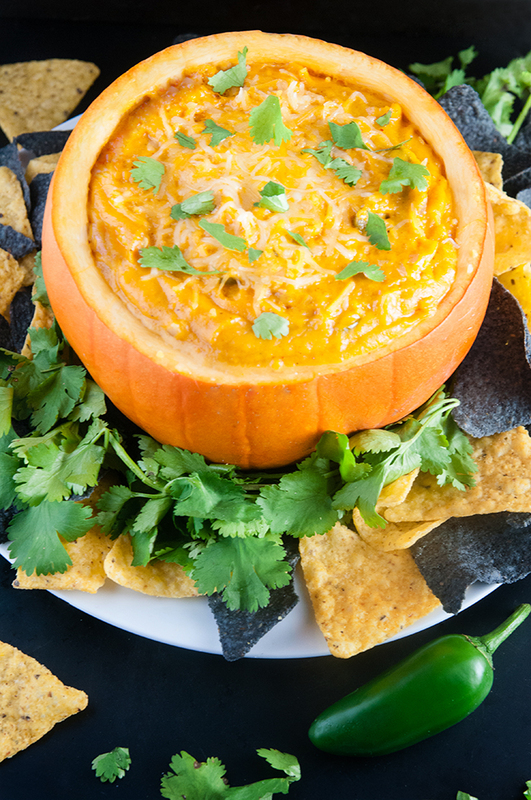 This chipotle pumpkin cheese dip teaches me things. Note I said that in present tense. Because even now a day after we made it, it’s still teaching me things. It’s a very smart dip. Must be all the vitamins from the pumpkin. I know, I know. What could a dip possibly teach me? Tons of things. 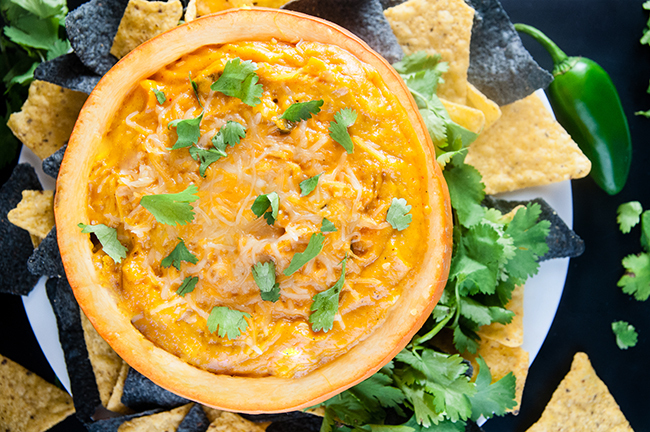 Sit back, relax and get ready to learn some pumpkin dip lessons. 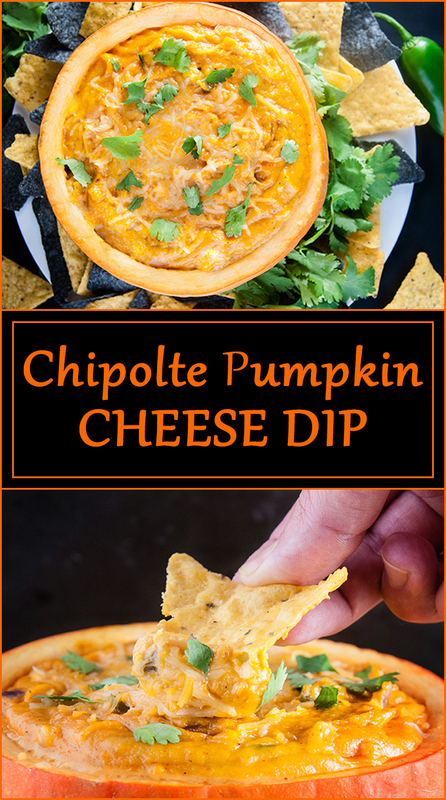 First, this chipotle pumpkin cheese dip taught me that unexpected flavors taste surprisingly good together. Well, actually if I am being honest this cheddar apple soup taught me that. You don’t really think about putting apples together with cheddar cheese but the soup was amazing. I also typically don’t think chipotle and pumpkin and cheese. But you know what? Move over PSL and Italian Style Pumpkin Cheesecake because this might be my new favorite way to eat pumpkin. 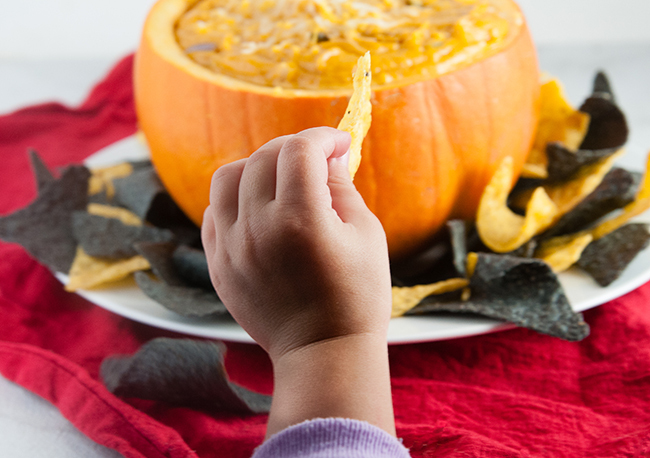 The combo of spicy with the subtly sweet background of pumpkin combined with the goodness of cheese is a winner. Not to mention, it’s easy and quick to make. 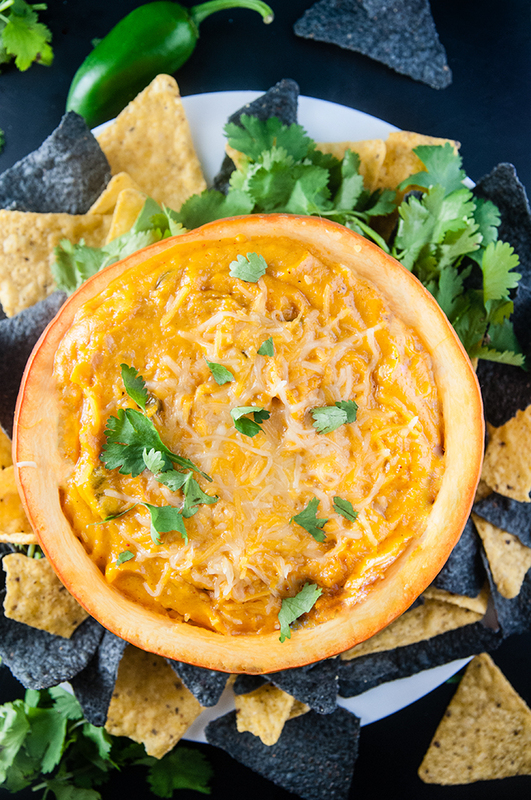 Second, chipotle pumpkin cheese dip is good hot or cold. Sometimes recipes surprise me on the next day. This dip is one of them. When I dreamt up this dip, it was meant to be served hot. 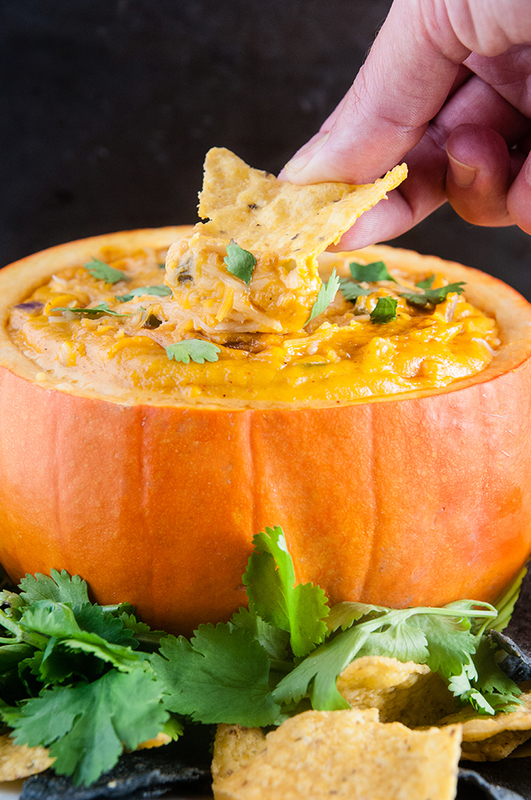 Kind of like a take on pumpkin queso. But you know what? In my laziness and extreme state of sleep deprivation, I didn’t heat the dip today when I was foraging for a snack. It was still in the pot in the fridge. I could have easily reheated it. But that would have been a sad waste of Goose’s naptime. And I was hungry. So I stuck a chip into the pot and took a tentative bite, thinking cold dip would probably be gross. The third lesson? Well it was an eye opener about the Goose. I learned just how odd her pickiness is these days. Fully in the throws of the 2s, her odd eating habits are at a whole new level. But then again, who am I to judge? I’m sitting at my computer with a cold pot of this dip and a bag of chips. I’m calling it lunch. Maybe even dinner. Anyway, I learned that Goose will eat this dip (shocking- it’s pretty spicy) but will not eat blue corn chips. In fact, blue corn chips make her cry. I’m not sure why. But they do even though they taste EXACTLY the same. Oh well, more chips for mama. In half cup portions add cheese, mixing until fully incorporated. Reduce heat to low and cook for 5 minutes stirring occasionally. Serve hot with chips for a queso like dip. Or chill and let firm to serve like a cheese ball. I love pumpkin. I love cheese. 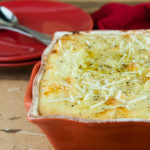 So I know I am going to absolutely LOVE this dip! Can’t wait to try! So good! Hope you love it as much as you think! This is interesting! I love all the ingredients but have never had spicy pumpkin anything – def gotta try it! Spicy pumpkin is amazing! Sweet and spicy. Love love love love love it. This looks amazing! I love pumpkin anything! That is such an interesting combination but it looks delicious! 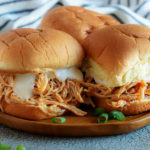 Oh man this look SOOO good! I love that you served it in a pumpkin as well. What an awesome touch, and great for a party! Thank you! So perfect for a fall party! Oh YUM!! I love this dip, and I love how you presented it in the shell 🙂 very cute! OH MY GOD STOP! This looks amazing!!! 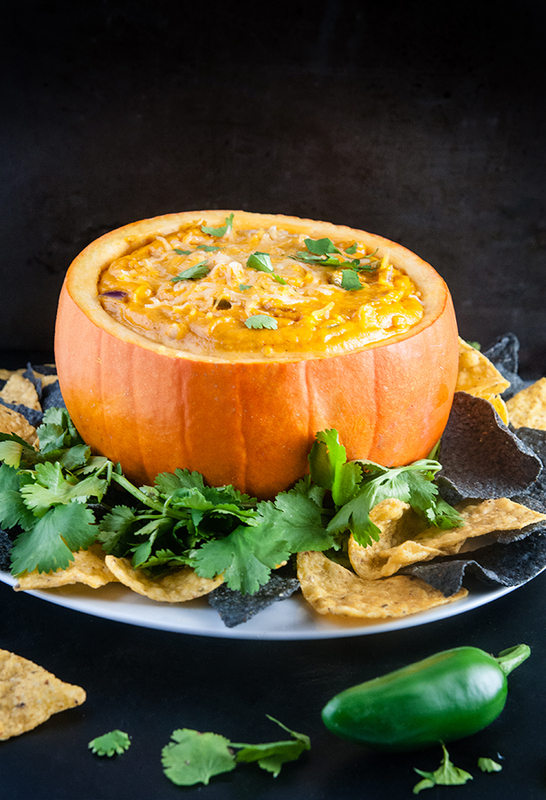 I honestly would have never thought to put cheese and pumpkin together, but this looks yummy! OMG so yummy! My friend came over last week after I made this and the 2 of us killed the whole bowl in one shamefully good sitting. 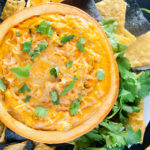 So if you’re going to serve it in a pumpkin is there a way to use the pumpkin meat for the dip without ruining the shell? Sounds delicious! That’s a great question. I don’t really know since I used canned pumpkin. I would imagine that if you used a pumpkin variety that had thick enough flesh you might be able to do it if you only used a portion of the flesh. I was going to say this sounds like an odd combination, but I bet it tastes so good! I tried pumpkin flavored gelato at an event yesterday that was pretty good. This looks fantastic! Who would have ever thought to mix pumpkin and cheese together…I am trying it! Your images are beautiful. 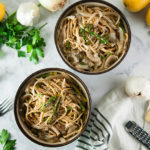 Seems very easy and fun to make so thanks for sharing your ingredients! 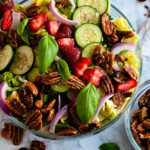 Mmmm, this looks so delicious!! Definitely saving this post to Pinterest to come back and make this for sure!